Generally speaking, respiratory alkalosis is less life threatening than respiratory acidosis, probably because most of the respiratory alkaloses observed in clinical situations are a consequence of chronic and relatively stable disorders. This is in striking contrast with the causes of many respiratory acidoses, which may be rapidly fatal when not corrected quickly. However, this may not be true in the intensive care setting, where some causes of very severe respiratory alkaloses can be found, as noted earlier. 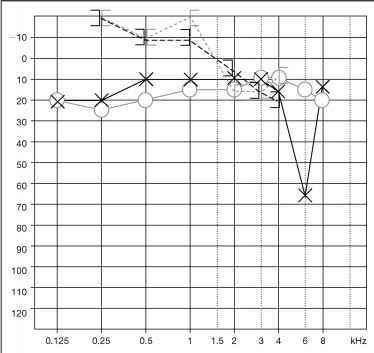 The arterial pH often remains below 7.55 in respiratory alkalosis, so that symptoms are either mild or absent unless other factors, such as previous hypocalcemia, hypoxia, etc., are concomitantly present and may cause serious disorders, such as seizures, cardiac arrhythmias, etc. The clinical situation is completely different when the arterial pH exceeds 7.55: the acid-base disorder itself becomes very life threatening when blood pH exceeds 7.70. This degree of alkalemia is rarely tolerated for long periods and may lead to death by causing cardiovascular and/or neurological dysfunction, most frequently by inducing seizures and cardiac arrhythmias. Therefore mild respiratory alkalosis (arterial pH 7.45-7.55) rarely necessitates a specific treatment. However, this acid-base disorder represents some sort of marker of an underlying disease that must itself be detected and treated. This will eventually correct the acid-base abnormality without the need for a specific treatment directed against the acid-base disorder. In contrast, severe respiratory alkalosis, characterized by an arterial pH exceeding 7.55, can lead to coma, cardiac arrhythmias, and death. In this situation, asterixis (flapping tremor) and myoclonus may sometimes precede coma and, when present, these symptoms prompt rapid and specific treatment in which alveolar ventilation is decreased by every available means in order to lower the arterial pH to below 7.50. When simple sedation is not sufficient to reach this goal quickly, the patient must be intubated and paralyzed in order to reduce the arterial pH. Therefore it may be necessary to use controlled mechanical ventilation until the primary disorder causing the severe alkalemia has been cured. 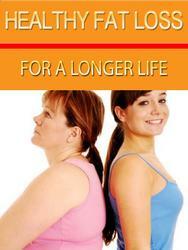 This treatment must be undertaken rapidly before the occurrence of irreversible cardiac and/or cerebral damage, i.e. within a few minutes. 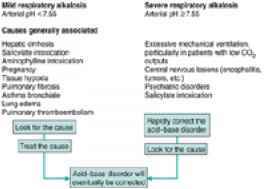 Figure 1 shows the causes of respiratory alkalosis, listed according to the severity of the disturbance, and a simple therapeutic strategy for this acid-base disorder for both mild and severe pH increases. Pierson, D.J. (1990). Complications associated with mechanical ventilation. Critical Care Clinics, 6, 711-24. Rose, B.D. (1989). Clinical physiology of acid-base and electrolyte disorders(3rd edn), pp. 580-8. McGraw-Hill, New York.